Following a public consultation to a proposal to reduce the Feed in Tariff (FiT) by a massive 87%, DECC have confirmed the changes to be implemented to the scheme early in 2016. The current FiT scheme will close to new applications on 15 January 2016 with new measures coming into effect on 8 February 2016. The tariff drop has been limited initially to 63.5% of its current amount however quarterly default reductions will see the tariff for domestic scale installations drop from 4.39p/kWh to 3.55p/kWh by Q1 in 2019. A quarterly “deployment cap” allocating committed quarterly expenditure for differing sizes of solar installations. Once FiT expenditure reaches the cap for any quarter all new installations will be placed in a queue for when the next cap opens. There can be no guarantee therefore that in completing a solar PV installation by a given date as to what tariff will be attributable. If caps are not reached the uncommitted expenditure is rolled-over. Properties will require to have a “D” Energy Performance Certificate prior to the installation of the Solar PV panels. DECC suggest the new scheme will show a return of 4.8% based on the cost of installation of a solar PV array and the cost of consumers buying electricity. What do these changes mean for homeowners and businesses looking to install solar PV? As has previously been seen with major alterations to the FiT scheme, the solar industry has responded so that solar energy makes both environmental and financial sense. The default quarterly reductions show a drop of less than 1p over three years which is negligible and likely will be exceeded by the rise in the cost of buying electricity. Solar PV technology is improving all the time with solar panels and inverters becoming cheaper and more efficient. The result has been higher outputs and greater returns on investment especially if owners are able to maximize the amount of self-consumed electricity. Battery storage technology has now also developed to a point where the cost and size are not prohibitive enabling greater self-consumption. 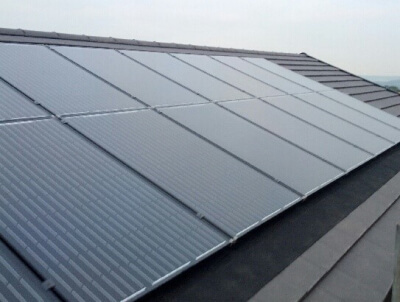 For further details of the Feed in Tariff scheme please click here. To discuss whether your property is suitable for a solar PV installation please contact us for a free no obligation survey and quotation.